Most of us find ourselves saying those three little words "I'm too busy" on a daily basis, rushing around from one activity to the next, smart phone in hand, stress levels through the roof. It's not surprising that we have disconnected from nature and in turn, we've lost touch with nature's beautiful rhythm. 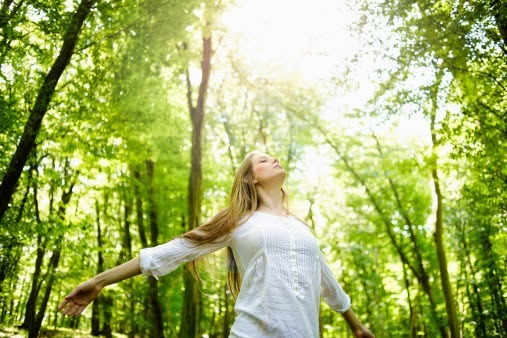 Re-establishing a connection with Mother Earth and the world around you is crucial to your health & happiness. It's proven that people who spend less time indoors and more time out in nature are less stressed, more energized and in-the-flow! Just being out in nature does your mind, body and soul some good. People living in urban environments with less green space around them have a higher prevalence for anxiety disorder and depression. No green space nearby? Researchers in England have found that joggers who exercise in a natural setting with trees, foliage and landscape views feel more restored and less angry & stressed-out than those runners who who burn the same amount of calories running on treadmills or working out in a gym. So even if you have to drive a few miles to find a little green (or an ocean view), it's worth it! While there are many theories as to why being in nature makes us healthier, one leading cause is that being outside increases our vitamin D intake. Sunlight is a natural source of vitamin D. How important is the sunshine vitamin to your health? Scientific evidence shows that a lack of vitamin D leads to health problems such as hormonal issues, inflammation, obesity and a weakened immune system. Because sunlight is a natural source of vitamin D and most of us are deficient in it, increase your daily intake by soaking up some rays! You know that feeling where your brain seems to be stuttering, like an engine that's running out of gas, the tank is running on fumes and you try and speak but can't get a whole sentence out? Researchers call that "mental fatigue". Our society is burdened with it because we are on information overload all day long. Our relationship with nature has been overcome by our relationship to technology. It's time to unplug and press the resent button.. Studies have found that people's energy bounced back even just by looking at a picture of nature! The beauty of nature can elicit feelings of awe, ignite peace within you, inspire you to make positive changes in your life, and restore your mind's thought processes to a higher level of thinking. Why not head to the beach and bury your toes in the sand, walk to the park and sink into the fresh grass. Jump in the ocean, plant a garden, find a trail to walk and feel the warm sun on your skin. Carve out the time. Take every opportunity to soak in Mother Nature's beauty and live a more vibrant life! What's your favorite outdoor activity? How does it make you feel? Comment below and share how you connect with nature to inspire others to do the same! As temperatures rise, it's time take your hydration up a notch.. and nothing screams refreshing like juicy, fresh cut watermelon. High in vitamins A & C as well as B6 & essential minerals, it's loaded with antioxidants which help fight free radicals that can lead to inflammation. 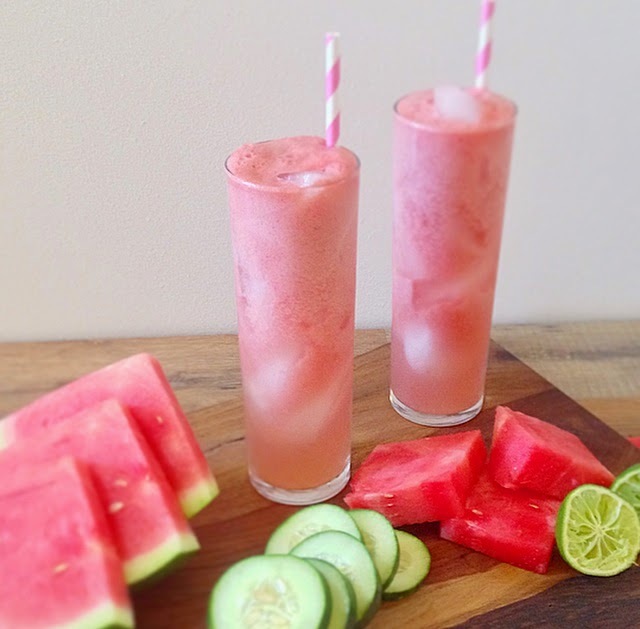 This healthy tonic would be the perfect poolside companion! We've added Nanolean to sweeten the deal even more, adding to your daily fiber intake, boosting your metabolism and controlling cortisol levels. Aaaaaah.. yes. A less stressed out you is right around the corner. Happy Sipping! Time to spice things up! As with most smoothie recipes, this one is easy like Sunday morning. Chai spices have long been known for their antioxidant, anti-inflammatory and digestive properties. We've added our Wellbody-365 vegan Vanilla Toffee flavored Nanopro protein powder with ashwagandha, which is clinically proven to increase the body's resistance to stress and lower cortisol levels, too. Creamy, sweet and spiced just right.. but don't take it from me. If you're a chai fanatic, feel free to double the amount of spices in this one. Because either way, you'll be sipping on a dreamy, spicy, sweet mixture that will warm your senses and help you to keep your cool all day long. For two, just double the recipe! 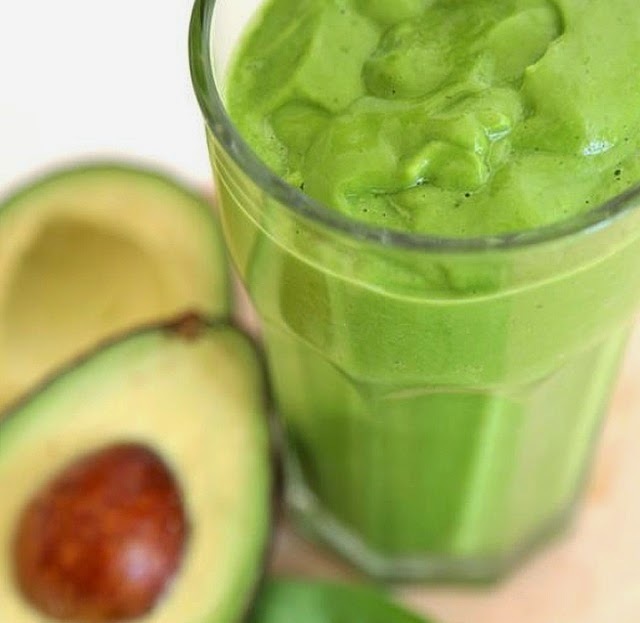 Blend all ingredients in a high-speed blender & enjoy! Blend all ingredients until smooth.. and go get 'em tiger! 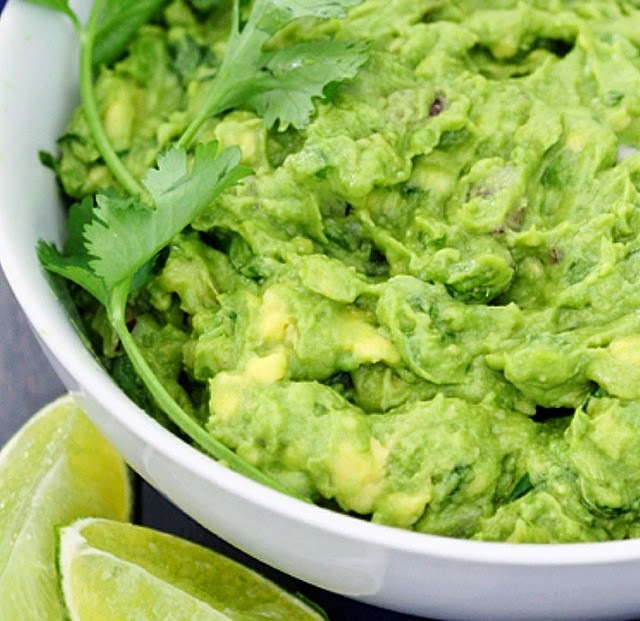 This is truly the perfect guacamole recipe. It's simple.. so simple that it allows the flavor of the avocados to really shine through, with just subtle hints of cilantro, red onion, jalapeno, garlic and lime. Fresh, delicious and bursting with flavor to get your taste buds celebrating the weekend with friends. So gather round! Mash avocados with a fork but leave small chunks. Stir in all ingredients & serve immediately with your favorite chips or main dish! And by all means, pass the margarita! Post-sweat session smoothie bowl at our favorite local yoga studio, Mantra Yoga & Juice Bar in Carlsbad! 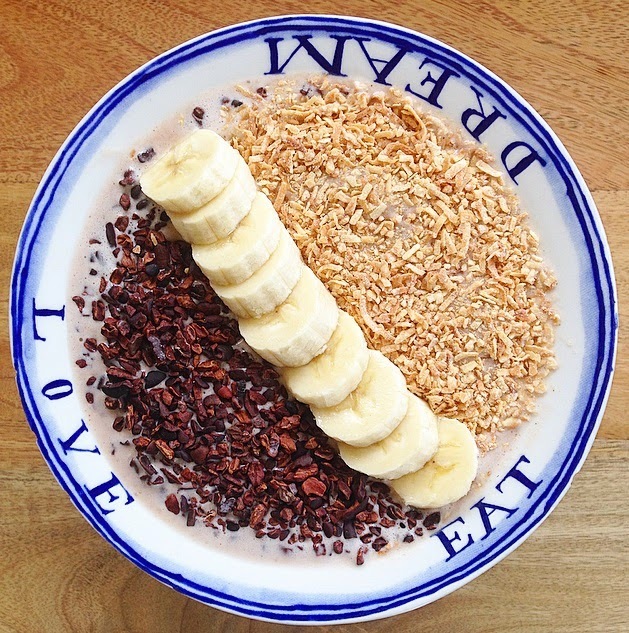 Blend all ingredients with a cup of ice & top with toasted, shredded coconut, banana & cacao nibs. Thanks for adding the Nanolove Mantra!!! Rule number one for clean eating: Don't diet. I don't mean to offend anyone here. Trust me, I understand the effort, dedication and energy it takes to follow a strict diet. I've done everything from the no-carb, high protein diet to the cabbage soup diet. I've been vegetarian, pescatarian and completely vegan. I finally said enough with labels, and landed here. Eating clean, organic, whole foods from valuable sources. There's an endless number of books & countless reports that tell us what to eat. The bottom line is is that most diets give us temporary results and leave us under-nourished in one way or another. Clean eating is not a diet. There is no counting calories and no point system to follow. It's a practice, and a way of life. Cut back on (or cut out!) soda, juices from concentrate, or coffee with flavored creamer. Instead, reach for fruit-infused water, tea, fresh juices or coffee with organic creamer. Need some clean energy to go with your new lifestyle? 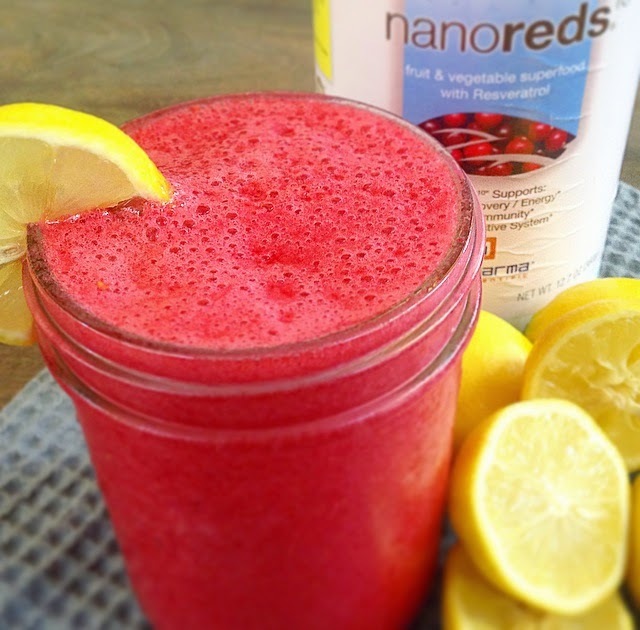 Nanolean is a light, refreshing beverage that you drink between meals to boost your energy and curb cravings. It's loaded with fiber, helps to control stress levels and helps to keep your metabolism humming along. For people who have a difficult time drinking plain water, give this a try. But as always, water is the very BEST beverage every time! 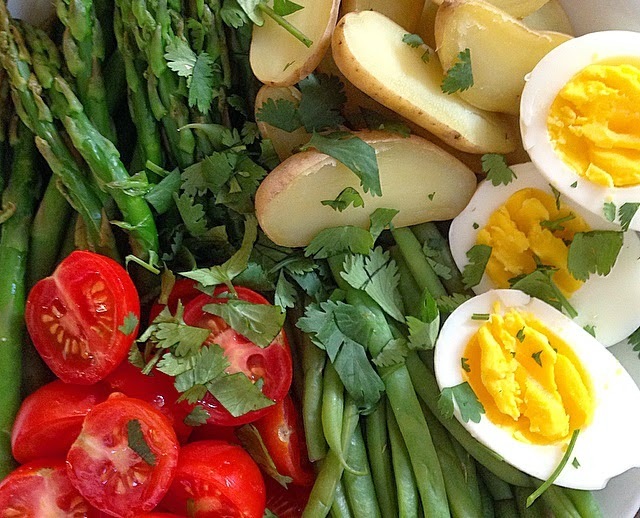 Clean eating begins at the grocery store or farmers market. Start asking questions: How long have your veggies, fruits, meat & fish had to travel to reach you? Read lables. If the item has more than 5 ingredients and lists a bunch of words you can hardly pronounce, put it back on the shelf. Pass on the gmo's (genetically modified organisms) which create toxins in the body that produce disease. Eliminate excess sugar, processed foods and artificial sweeteners & stay away from eating anything with chemicals or preservatives. To make it easy, load up on fruits & veggies. Then you know you're getting whole foods! Stick with the dirty dozen and buy organic when necessary. Check out the list here Dirty dozen/clean fifteen . 3. Clean up your recipes & start cookin! Eat from home. This is an easy way to eat more whole foods and save money in the process. And you don't have to stop eating your favorite foods. Instead, choose the better version. That's the beauty of clean eating. Pinterest is loaded with clean recipes and ways to swap out your old go-to's with new ideas. For example, if spaghetti night is a tradition at your house, swap out the heavily processed pasta noodles for spaghetti squash. Use coconut oil for cooking instead of canola oil, and look for locally sourced, oraganic, grass-fed meat. Find a few new recipes and stick with those for a while.. remember, this is a lifestyle change not a quick fix. Check out our clean version of Gluten-free Banana Pancakes for a breakfast that's healthy and delicious! Most importantly, have fun! Clean eating emphasizes the enjoyment of preparing and sharing a meal. Good luck on your path to healthy and ditch the diets for good! Being submerged in the yoga world, as a regular practitioner and as a teacher, I hear a lot of conversations around me about what yoga is, what yoga does, how you should do yoga, which style of yoga is the best, which style of yoga is the worst, and everything in between. But yoga is yoga..is yoga, which is.. yoga. Whether or not I am in a heated room, practicing vinyasa flow, taking a restorative approach in a yin class.. whether I am taking this person or that person’s class.. it all happens here, on my mat. My magic carpet ride.. and boy, is it bumpy..
My yoga mat has absorbed every intention I have offered up during a practice, and has convinced me that I have the power to become the very best version of myself if I choose to. It has soaked up the tears I have poured out into it & the pain I have felt in my heart.. it has helped me accept what is and let go of what was, purifying my soul in the process. It has reminded me over and over that I live a life abundantly blessed, and that gratitude is where joy can be found. My yoga mat holds the quivers of my weakened spirit on the days when I don’t feel like I’m good enough. It reminds me that I am. It holds me in child’s pose when I cannot muster the strength to press forward, and reassures me that the sweet embrace of the unwavering earth below is waiting to catch me when I’m ready to let go. It has silently observed the friendships I've made practicing next to like-minded people, who open their hearts and minds, share their expressions of hope and strength, and give me sweaty hugs no matter what. I have relaxed in bliss on my yoga mat. I have cried my eyes out. I have fallen to my knees, fought battles, found courage - I have found myself. It is on my yoga mat that I learned how to breathe, to find peace in the present moment and savor every second that I am still breathing. Yoga is yoga. And we shouldn’t judge others based on the style of yoga that they choose. Yoga transforms lives.. ALL of it. If we are making a choice to consciously step onto our mat and let the process take place, we are exactly where we need to be. Pucker up! If you like the sweetness of raspberries and the tang of sour lemon, you will love this smoothie. It truly tastes like my son's favorite candy, Sour Patch Kids (the red one!) but has none of the bad stuff and a ton of health benefits. Both lemons & raspberries are a rich source of antioxidants & high in vitamin C, which supports a strong immune system by fighting free radicals. They also help you maintain a healthy complexion by producing collagen. We gave our smoothie an extra boost by adding a scoop of Nanoreds Fruit & Vegetable Superfood, which is formulated with the antioxidant/phytonutrient power of up to 10 servings of fruit and vegetables! Another plus: This smoothie is loaded with fiber. Eating foods high in fiber stabilizes blood sugar levels and can help manage diabetes. The insoluble fiber supports proper digestion and the soluble fiber lowers blood cholesterol levels. Add to that minerals like magnese, vitamin B, folate, iron and potassium.. and you have yourself a sweet & sour super smoothie! If You Like Pina Coladas.. Try our Nanomega Smoothie! Warning: May cause extreme happiness! Did you know essential fatty acids are the most important supplement you can take? Our brains need good fats to be healthy.. and of all of our body parts, our brain is most in need of high-quality fats. In fact, the brain is made up of 60% fat, mostly an Omega-3 fat called DHA. Its job is to support cellular communication and when we have what we need, it produces happiness while increasing learning and memory skills. If our brains are deficient in Omega-3’s we can experience depression, anxiety and bi-polar disorder. Not surprisingly, Americans are deficient in Omega-3’s. Some reports indicate that 95% of us lack enough Omega-3’s to support our brains! We NEED Omega-3’s - that’s understandable. But many of us don’t like the fishy, oily, pill-form that is widely available. 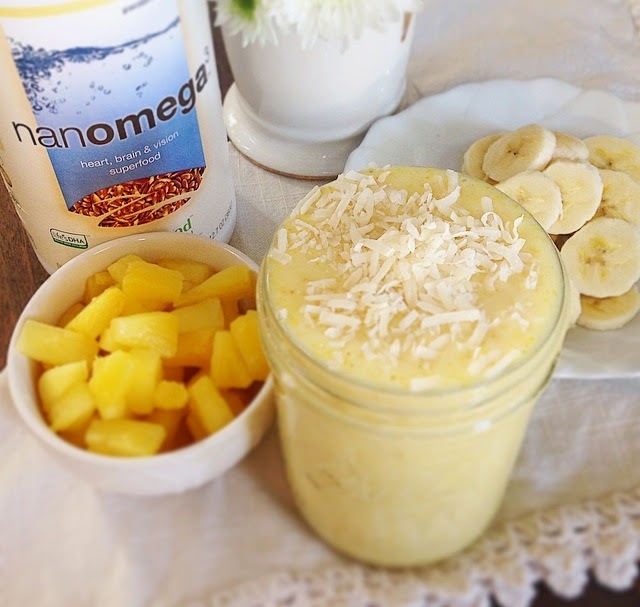 Nanomega Superfood is an all-organic, vegan, pineapple-orange flavored powder that you can add to your smoothies. If Omega-3’s cause happiness, the flavor in this Pina Colada Smoothie recipe will send you into tropical-island-vacation mode! It’s pure bliss! Blend Ingredients in a high-speed blender. How’s that for a superfood? Get happy friends! Happy Easter from our family to yours! Enjoy Easter weekend with our Carrot Cake Smoothie that tastes just like the real thing, without all the added sugar! 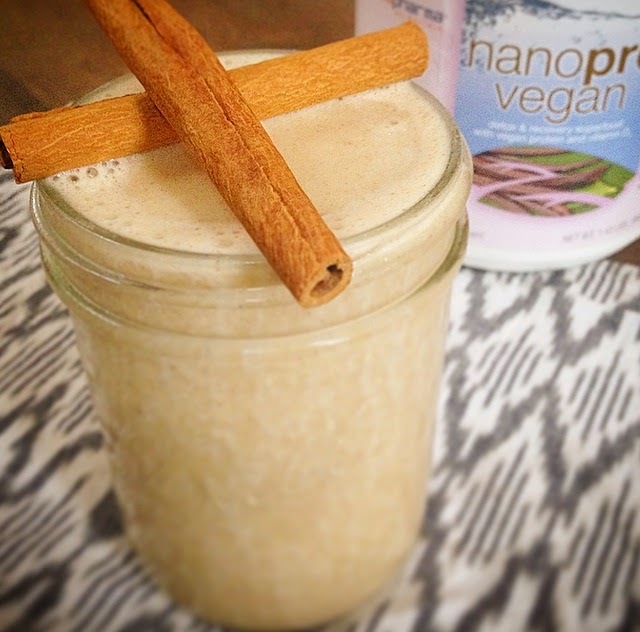 We added our delicious Nanopro Protein Powder for added benefits: detoxification, immunity support & muscle recovery.